What’s low in fat, has no cholesterol, is high in fiber, loaded with carbs, full of B vitamins and iron, and is packed with more protein than eggs or beef? Beautiful beans! Miraculous as they are, there are a few cautionary notes about beans that bear mentioning. Phytic acid is a substance that binds to minerals. This is important in the plant kingdom because plants need to have phosphorous available to them. Phytic acid binds to phosphorous, acting as a phosphorous storehouse. Phytic acid is found in the brans and hulls of most grains, beans, nuts, and seeds. But whereas phytic acid is beneficial for plants because it binds to minerals, it can be harmful for humans for the exact same reason. On its way through the digestive tract, it binds to a variety of minerals such as calcium, iron, zinc, and magnesium and makes them unavailable for digestion. This can lead to mineral deficiencies, especially in developing countries and other situations where people eat an inordinate amount of phytic-laden foods, particularly since these people typically ingest far fewer minerals to begin with and therefore can’t afford to lose any of them. Interestingly, because of its mineral-binding properties, phytic acid is one of the chelating therapies used for removing uranium from the human body. Some studies have suggested that phytic acid is effective at reducing colon cancer because it prevents tumors from absorbing the minerals they need for continued growth. That being said, however, phytic acid also prevents non-cancerous cells from absorbing the minerals they need. To get rid of the phytic acid, all you need to do is to soak the beans in water for a good long time - at least over night. Some people soak them for 18 to 24 hours. Others add a dollop of apple cider vinegar to the soak water, because acids help dissolve the phytic acid. When you drain the beans, it’s important to throw the soak water away, and it’s a good idea to rinse the beans in clean water before cooking them. Another problem inherent with beans is a substance called glycoprotein lectin which acts as a toxin in the human body. It is present in all beans, but it’s particularly concentrated in red kidney beans, the type so often found in chili. The substance acts as an insecticide, protecting the bean from being eaten by pests. Ruminants such as cows, who have compound stomachs, can eat beans without being affected by the toxin. Humans cannot. Inside the human digestive tract, it attacks the cells lining the intestine, and the body reacts by violently emptying out the entire digestive system in order to rid itself of the poison. Glycoprotein lectin is only found in raw beans, and eating as few as 5 or 6 raw kidney beans can cause vomiting and diarrhea lasting several hours, though it’s not fatal. The good news is that glycoprotein lectin is destroyed by high temperatures. The problem, however, is that when kidney beans are cooked in a low-temperature crock pot, not all of the toxin is destroyed. When cooking beans, therefore, (especially kidney beans), it’s important to boil them at a high temperature for about ten minutes before letting then simmer for a few hours. Dried beans are “alive” and in order to remain alive, they must breathe. Some preppers have reported that storing beans in air-tight vacuum-sealed conditions kills the bean. A dead bean will not swell in water, will not sprout, requires excessive cooking to be edible, and is best suited for being ground into flour and used to thicken soups, sauces, and gravies. To keep your beans alive, try leaving some air in the container, because beans need the nitrogen in air to survive. 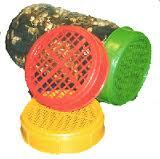 Or use an oxygen absorber in the container, which will replace the oxygen with nitrogen. If you have personal experience in regard to long-term storage of beans, please email me. Beans that have sprouted undergo a tremendous nutritional transformation. As the seed begins its process of germination, starch is converted to glucose and fructose, proteins turn into amino acids, and the vitamin and mineral content skyrocket. This can offer invaluable nutrition in a situation where fresh fruits and veggies are otherwise unavailable. To sprout beans, rinse the beans several times. Place them in a quart jar with one cup of beans to three cups of water. Let them stand overnight. In the morning, drain the beans and rinse them again. Put a sprouting lid or a lid with holes punched in it so you can easily drain the beans. Beans should be rinsed and drained each day so that they do not go sour. After about three days of doing this the tails on the bean sprouts will be one-half inch long. Sprouts can be rinsed one final time and placed in a zip-lock baggie and stored in the refrigerator. Use them within a few days, eating them as a salad or in stir-fry. 1 pound cooked beans will serve about 12 people. 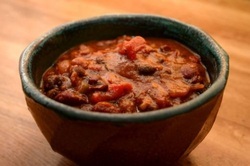 If stretched such as in chili or bean soup, a pound of beans can feed double that number. Native Americans planted beans, corn, and squash together in a classic gardening arrangement known as the Three Sisters. The corn provided support for the beans to climb. The beans twining around the corn stalks provided stability in the wind. The corn and beans provided shade for the squash, and the squash acted as a living mulch to keep moisture from evaporating. The beans enriched the soil with nitrogen, which both the corn and the squash benefited from. When I purchase a 25-pound bag of beans at Costco, the cost pencils out to seven cents per serving of beans. The only cheaper food I’ve found is rice, which works out to four cents a serving. I can buy a one-pound bag of pinto beans, kidney beans, or black beans at the Dollar Store for a buck, which will keep my husband and myself fed on chili and burritos all week long. Bean fritters: Mash 2 cups cooked beans; add one well beaten egg, one minced medium onion, one and a half cups of flour (or corn meal) and stir, salt and pepper to taste, lightly grease frying pan and prepare as you would pancakes. Kidney Bean Salad: Mix a can of drained red kidney beans with canned tuna fish, diced onion and ½ cup of bottled Italian dressing. The navy bean was named because it was a staple food stuff in the kitchens of the navy. Pinto beans come from the Mexican word for 'painted' because of their coloration. Lima beans originated in Central America and the common name comes from Lima, the Peruvian capital. Raw lima beans contain cyanide compounds and likewise must be thoroughly soaked and thoroughly cooked before being eaten. One of the most deadly poisons, used in spy stories and real life murders around the world, is ricin, which comes from the castor bean, same place we get castor oil. Beans contain oligosaccharides which are complex sugars that cannot be broken down by humans. However, bacteria in the intestinal tract do have the necessary enzymes. When the bacteria digest and break down these complex sugars, they give off gas as a by-product, and that’s what causes the farting. It's rumored that the more often you eat beans, the less gas you have. If you think you don’t have room to store beans, but you have a bean bag chair, and your bean bag chair is full of plastic pellets, why not toss the plastic pellets and have a bean bag chair that’s full of beans instead? In the 1980's an archeologist working in New Mexico came upon a clay pot sealed with pine tar containing bean seeds that were 1,500 years old and they grew! That variety of bean was cultivated and is now known as Anasazi beans, after the Anasazi Indians. If your beans have come out of a can, you can eat as many as you like. 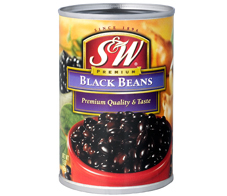 Canned beans have already undergone a thorough heating process and have no toxins left. If you cook extra beans, put the surplus in a freezer bag and freeze them.